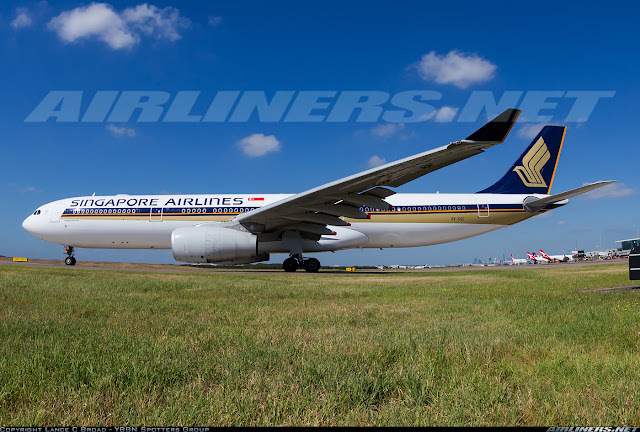 Charles Ryan's Flying Adventure: Flying Singapore Airlines Airbus A330-300 from Ho Chi Minh City to Singapore! 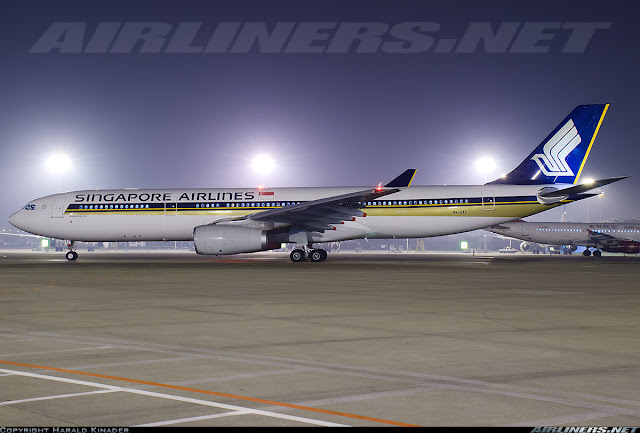 Flying Singapore Airlines Airbus A330-300 from Ho Chi Minh City to Singapore! Welcome to my Trip Report on Singapore Airlines! After booking my Jetstar flight to Saigon, I wondered which airline should I fly back. Not many options for me as I had already flown the other airlines that fly on SGN-SIN route. 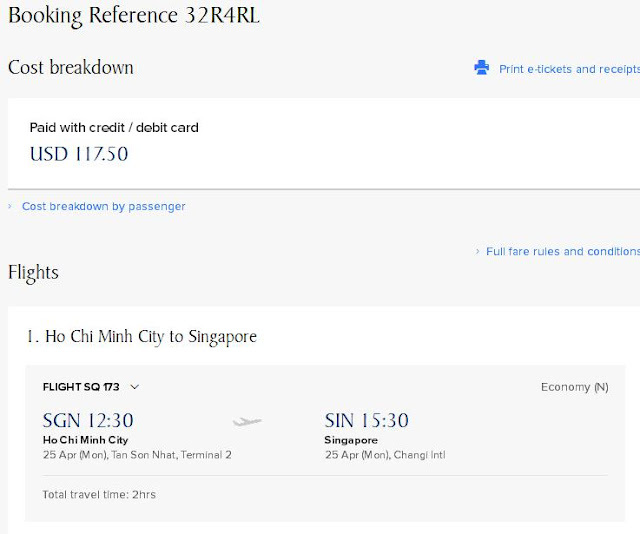 So checking my options, Singapore Airlines came in my mind as I noticed the price for the one way dropped to U.S$117 (S$157) which isn't that bad for this star alliance airline. As some of you know, airfares with this airline can be exorbitant so when this opportunity comes along, I decided to book and to fly the airline's Airbus A330 for the 2nd time. 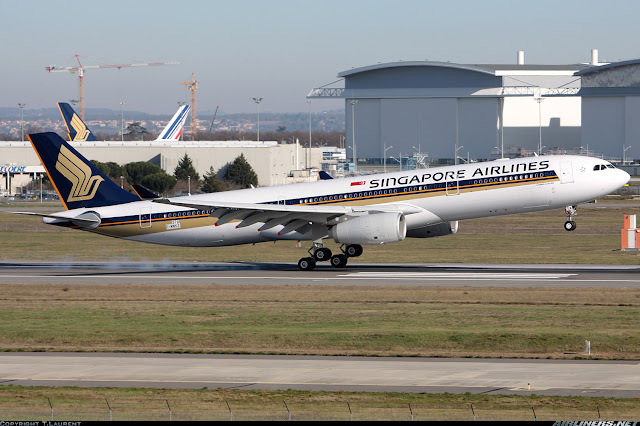 With a fleet of more than 20 A330s, my confidence of flying another A330 (Flown 9V-STT on my previous trip, you can check out the report over here) was high. Nothing fantastic about the airline's website. I still prefer the version before the previous, it is still more user-friendly than the previous and this current version. Many SQ flyers have echoed the same thoughts as me, only the management now can do something to improve the airline's website, making it more pleasant to use. At least for this version, it works well. I wasn't too happy with the choice of seat but I knew some seats would open up a few days before departure. For cheap tickets, usually you be assigned to the not so good seats. 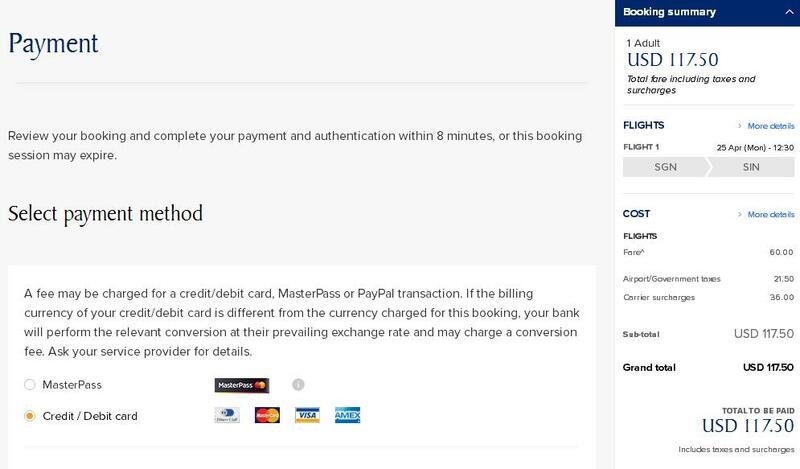 No issue with the payment as I got it done not long after. Doing the web check was not an issue, I managed to get it done and one thing good about it is even after checking in, you can still change your assigned seat. Changes to the booking is allowed but depending on the condition of your ticket. Usually passengers get the boarding passes at the airport check-in counters especially at foreign airports. I decided to sit a row in front of my original assigned seat. Managed to change my seat without the need of cancelling my check-in. The rest of the seats were filled up quickly. Glad to have the window seats available. Once that was done, I was ready to fly. 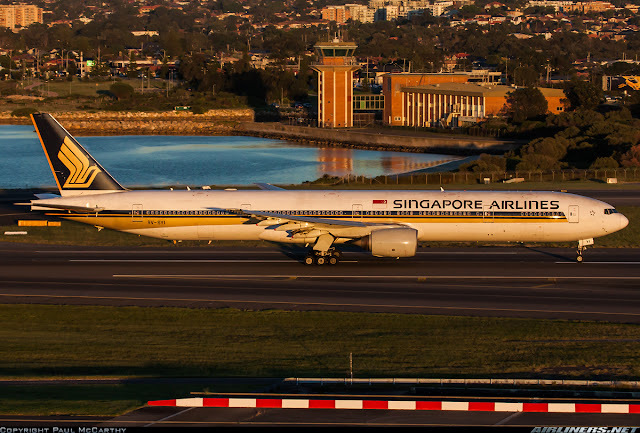 Do note that you can do your web check-in 48 hours before departure for Singapore Airlines. Before the arrival of the A330-300 aircraft, the airline was operating many Boeing 777-200 and -300 (Non-ER) aircraft on its regional route and the management realize that some routes are too large for the 777 to fill them in and therefore transfer some of them over to its subsidiary, Silkair. 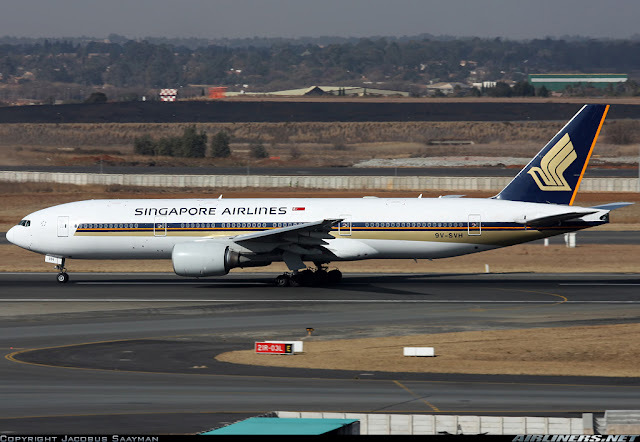 Later on, the airline made the decision for fleet renewal to replace some Boeing 777-200 (regional to medium haul routes) and -300 with Airbus A330-300 aircraft (temporary 5-6 years lease and can be extended) and Airbus A350-900/Boeing 787-10 (New aircraft in the market) later on. Once the Airbus A350-900 and Boeing 787-10 enter the fleet, the Airbus A330-300 will be returned to the leasing aircraft. 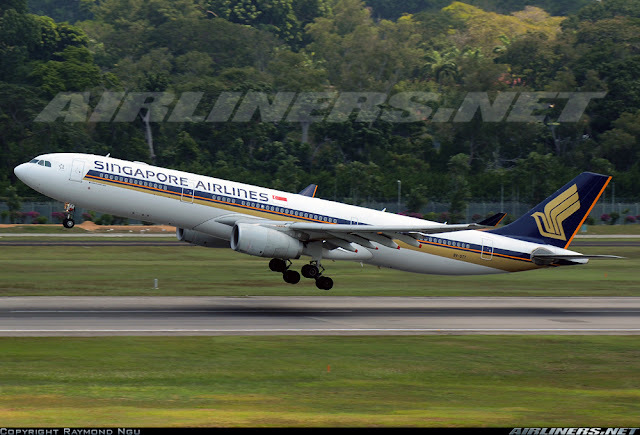 Basically, this aircraft type (A330-300) is a temporary measure. 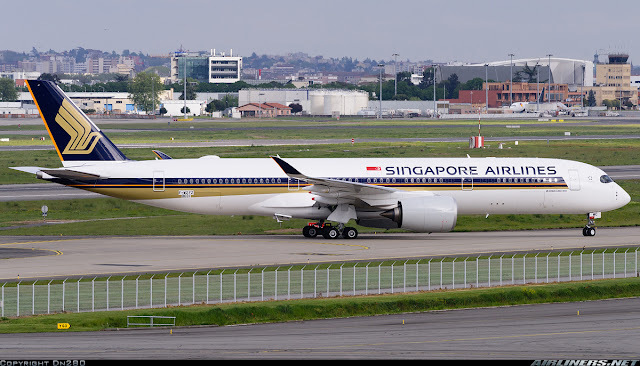 Singapore Airlines managed to get a good deal from Airbus and later on the airline requested from both Airbus and Boeing to produce a ultra long haul aircraft that enable the airline to fly directly to U.S from Singapore and Airbus won an order for 7 Airbus A350-900 ULR (Ultra long range) version which the aircraft manufacturer formally launched. As for the original order of 20 Boeing 787-9 aircraft for SQ, it was transferred to Scoot as the airline found the -9 too small for its network. 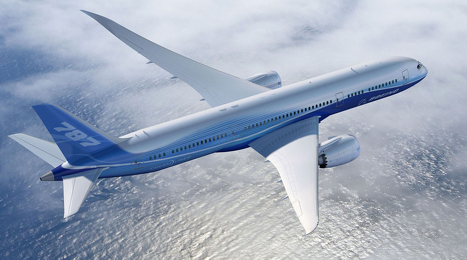 In the future, the Airbus A350 and Boeing 787-10 will operate on regional routes, the former will also fly on long haul routes making it versatile just like the Boeing 777. My trip in Ho Chi Minh City - it was a memorable few days, here are some food photos taken during my quick getaway trip. For a change, I didn't have to wake up very early for the flight back to Singapore. I picked the first flight - 12.30 pm departure back as I had work in the evening. So I checked out at my regular hotel and made my way to the airport around 0930. Once at the airport, I went to the check-in counters and they were already opened. The counters were vacant so checking in was a quick affair. Once that was done, I made my way to the immigration for passport departure chop and headed for breakfast at the air side. For non-passengers, you can head to the 3rd floor to wait. The cafe here is always crowded whenever I am around. Did a check on Flightradar24, I was disappointed that 9V-STT was the aircraft picking me up because I had flown this aircraft before. A fleet of 29 Airbus A330-300 and I had to get the same aircraft. What luck! You can check out the trip report over here. On approach to SGN airport, it arrived quite early. Later on, I discovered a change of crew - I was quite surprised, no wonder the aircraft landed so early. I made my way to the food court and got myself a nice bowl of Vietnamese noodles. I got myself a small bowl of chicken and beef noodles and a drink, this was quite expensive - U.S$8 for it. When I arrive, my aircraft was parked at gate 19 not 20. Later on an announcement was made regarding a gate change, from gate 20 to 19. The flights assigned to gate 19 for that afternoon. Changes can take place of course. Looking at the crowd, it looked like a full flight which was the case when I was on board. Boarding started early and the staff made sure that the priority passengers got to board the aircraft first before the economy class seating at the back to board before the rest do so. It was done in an orderly manner so everything went smoothly. Credits have to go to the staff. The aero-bridge control, the staff has to be experienced and make sure it hits the mark. The last thing the staff wants is to damage any part of the aircraft. Time to board the aircraft! See the small window? That is for the ground staff and cabin crew to communicate (hand signal) to open the door when ready. Once on board, I was greeted by the Singapore Airlines flight purser and the famous Singapore girl. Not the warmest welcome, but I was shown the direction to my seat with a smile. Passing by some crew along the aisle, I was greeted by them. The business class on the airline's Airbus A330 reminds me of Cathay Pacific. Product is different but should be as comfortable for short-medium haul routes. 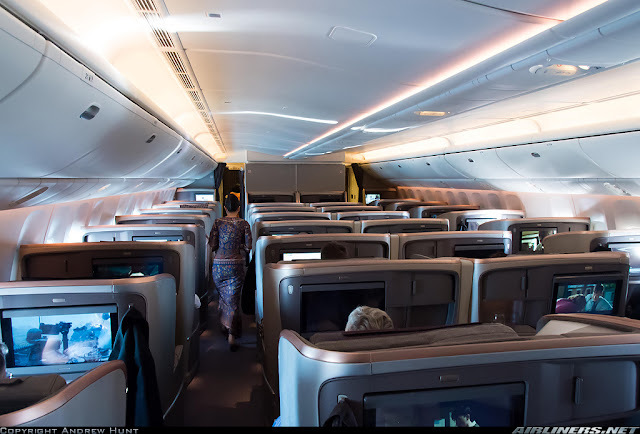 Do note that the business class product is different from the airline's Airbus A380 and Boeing 777-300ER. The newer cabin product is pretty good. Among all the business class products out there, this one (below) is one of my favourite. I have yet to experience it, but I will one day. The seat colours of the front and rear Economy Class cabin are different. IFE Screen on every seat - that's expected when flying on SQ's aircraft. More information of the IFE system on the later part of the trip report. Managed to snap some photos of the cabin before the rest of the passengers appeared. Seat pitch is 32' inch if I am not wrong. 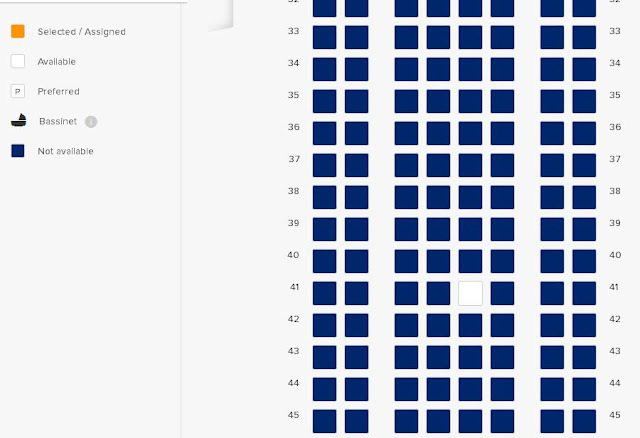 The seat is quite comfortable with decent legroom space, so no problem for medium haul flights. However, I find the seat width a bit narrow for my liking, perhaps because of the body size my seat mate and myself. Pleasant looking cabin. 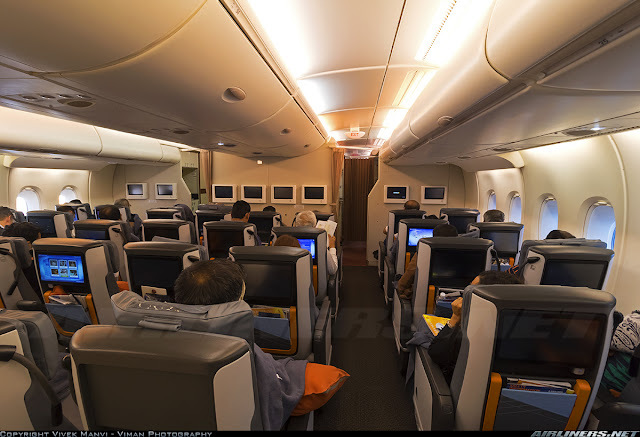 The Airbus A330 Y class cabin is best fitted with 2-4-2 configuration, not 3-3-3. For that, you can check out my trip report over here with Cebu Pacific. My window seat, not so much of a worry when flying on Airbus aircraft. Every seat has a pillow on it, I think blanket is available upon request. For longer duration flights, blankets may be provided. For 2-4-2 configuration, there is no middle seat. Great for the passengers but bad for the bean counters at the airline's office. Photo view from my seat. Meal service was in progress at this time. IFE system wasn't shut down at all so passengers could watch their movies from the departure gate to the arrival gate. I like the layout. You have everything you need. The AC power socket is located below the seat. (forgot to take the photo). The tray holder (foldable) which includes a mirror! Lots of pockets for you to place your personal items in it. Do not forget to take them when you leave the aircraft! While waiting for departure, a hot towel was provided. I have to say I was quite disappointed with the IFE system, guess I am spoilt by the latest ones out there. The touch screen - could move the cursor but cannot open up the application, so I had to use the keypad which I dislike. Often I keyed in the wrong button, ending up where I least expect to be. Flight route map was poor, comparing to the other top airlines. Choice of movies was disappointing, most of them were unknown to me. At least the IFE entertainment system was available from the departure gate to the arrival gate. I had a choice between the pork and chicken. I chose the former. It was pretty decent for this short flight. I enjoyed every bite of it. The pork should have been cut into smaller pieces. Boarding the aircraft was a quick affair, I wasn't particularly impressed with the cabin crew. There were a good mix of male and female crew but the lack of warmth and smiles from some of them put me off. A couple of crew seemed to be rushing to end their job fast and be gone to somewhere else. I am not sure what to say! Anyway, pushed back took place earlier than expected and we were soon on our way to the taxiway. Announcement should have been made to ask passengers to remove their earpiece during the take off and landing phrase instead of 'lecturing' them (their loud voice and tone said it all). This particular crew, probably a senior one could have lowered his voice and talk in a much gentlemanly manner instead of having that "lecturing" tone. Other than that, everything else was normal. The crew went around doing the mandatory checks and soon we were at the runway waiting for clearance for take off. Looking at the weather, I was expecting some minor bumps but this take off was probably worse than my previous take offs from this airport. It was quite bumpy until we were at a higher flight level. Clear Air Turbulence with bit of up and down drifts, to me it was between light to moderate chops. Once we were cleared of the clouds, the flying condition improved and we flew over South China Sea in smooth weather. The flight captain updated us on the weather and it was raining in Singapore. As for the cabin crew, they took a while before serving our meal, I guess they needed some time to heat up the food before serving us. Service by the male crew was ok but one particular female crew seemed to be in a hurry. Earlier on before the meal, she was rushing to distribute the immigration forms and then serving the drinks. For the rest of the flight, it was uneventful and landing in Singapore was a smooth affair despite the angry looking clouds around my aircraft during descending. By the time we were on final approach, the rain had stopped and we landed with water splashing out when our reverse thrust kicked in. It was a quick and enjoyable flight with SQ but somehow the service once again isn't what I expected. Better than my previous flight experience. I had a chat with a senior crew at business class cabin after the flight and I couldn't answer his question when he asked me how did I find the flight service? I just hope for more consistency in service especially for Economy Class. Well, with new Airbus A350-900 and Boeing 787-10 entering the fleet in the near future, better in-flight products on the regional routes is expected so if you are flying on the Airbus A330-300, they will be sticking around for a few more years before being replaced. The take off was bumpy as you can see the amount of shakes in this video. I won't want to fly into those clouds! Passing by a Cumulonimbus cloud. Flew into one but it wasn't that bad, the turbulence. We were assigned to land on runway 20 Right. The ride was smooth, hardly any turbulence as we made a few turns before finally given clearance to approach and land. Landing was a smooth affair and we were early too despite being placed on holding pattern for around 10 minutes. Taxiing past 2 Boeing 777-300ER aircraft. This is Singapore Airlines' one of 2 Airbus A380 painted in this special livery to commemorate Singapore's 50th birthday. From what I know, the livery would disappeared soon from our skies. Taxiing to the gate took around 15 minutes so by the time we reached there, it was almost 3.30. I would fly with this airline in the near future on this same route, hopefully I get better in-flight service. It all goes down to your luck when it comes to this. More importantly, I hope to fly on a different Airbus A330, hopefully the 9V-SS* series. 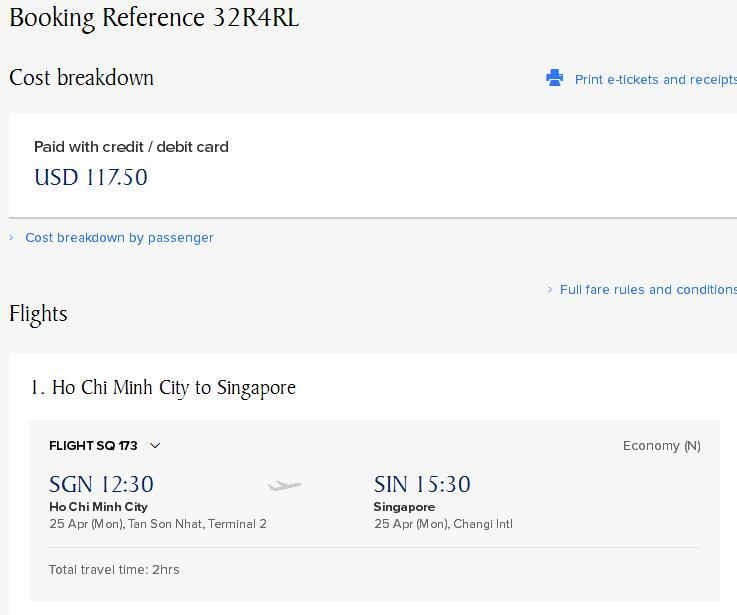 The reason why I did only one way with Singapore Airlines because the cheapest airfare for the return ticket was at an exorbitant price of $438 and that is not worth for a short flight. 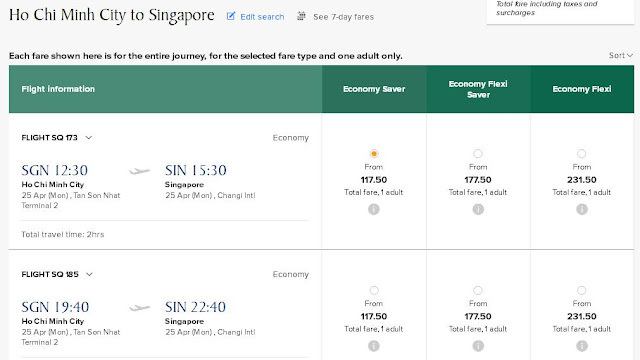 U.S$117 = S$157 for the one way sector was not that bad. 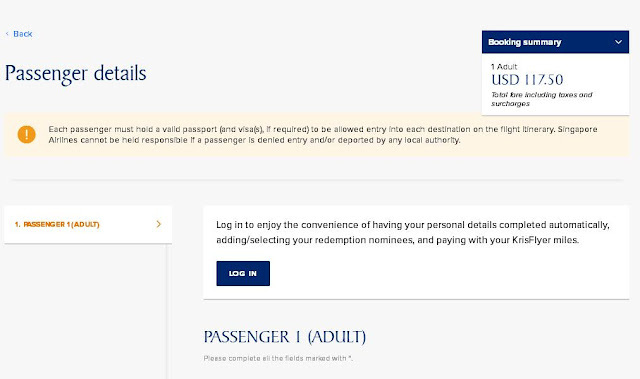 Some times there are offers and if you do encounter one, snap it before they are gone, only thing is you don't earn much miles if you are a member of the airline or the partner's card membership. Overall I am satisfied with the flight. I had decent in-flight meal and on time arrival which is quite important as I could quickly go home and clean up before heading to work. In-flight service was a bit of a disappointment and so was the IFE system - the selection of movies and the inability to use the touchscreen to navigate the system was a disappointment but I am looking forward to experience the airline's Airbus A350 in the near future, it has newer products than the A330 and I would definitely do a trip report on that. Now waiting for the airline to operate at least 5 A350s before I commit myself to flying the airline's A350. 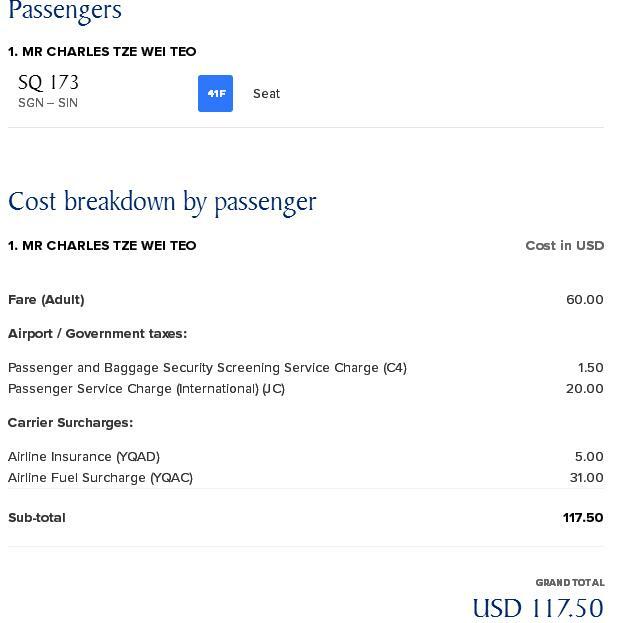 Reason is I don't want to experience another last minute aircraft change if the aircraft goes out of service especially I have to pay a lot for the air ticket. SIN-HKG route is my target, more flying hours than flying to Jakarta or Kuala Lumpur. woww, really nice experience to be share dude. looking nice, do you have a try Garuda Indonesia ? ?